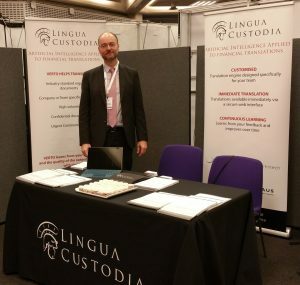 Lingua Custodia attended TSAM for a second year in a row as an exhibitor. Thanks to all those who stopped by our stand where we offered information about our specialised machine translation engines. We also took the opportunity at this event to introduce our new Enterprise Solution for Asset Management professionals. For those of you who were not able to attend TSAM, please click here for more information on our Enterprise Solutions.